A couple of blog posts ago I wrote that I was evaluating my stance on school library fines. Since then my co-librarian has warmed up to the idea, and we’ve been planning how we are going to phase out fines. I also started working with the ALA working group Resolution on Monetary Library Fines as a Form of Social Justice. This ALA appointment comes at an interesting time for me since my co-librarian and I are actively assessing our stance on fines and trying to figure out the best way to implement this new policy. Fortunately, our administration is supportive and even though I don’t have the answers to all of his questions, our principal is willing to let us figure it out. For librarians who are thinking about ditching fines, what kinds of information/resources do you think would be most beneficial to your efforts? For instance, our principal asked us to write a proposal and policy on removing fines. I would be very interested to read some library fine removal policies already in place. Something else I think would be useful for me is seeing specific examples of fine removal in school libraries comparable to the size and population of our school library. Our school is fairly large, and solutions/strategies that work in smaller schools don’t always work for us. Being able to see what fine removal looks like in real life for a wide variety of libraries could help with troubleshooting and the practical application of a fine removal policy. For those who aren’t really sold on the idea of ending library fines, what would you need in order to reassess your stance? My co-librarian wasn’t excited about ending fines. She felt like late fines motivated students to return books, and removing fines removed an opportunity for real-world lessons about accountability. What changed her mind was the combination of Googling some articles and the student who told us he wasn’t going to check out a book because he was worried about having late fines and getting in trouble with his parents. 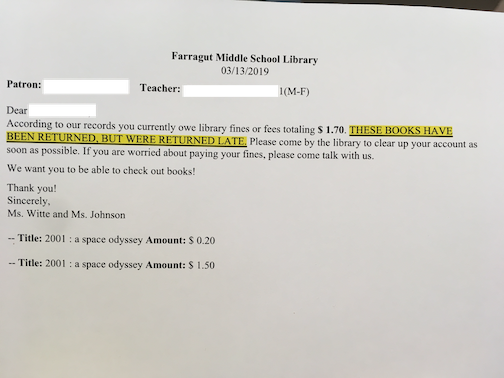 Our administration didn’t need much convincing, but we did utilize information we found in several articles documenting success with ending library fines. Having easily accessible information and resources on ending library fines in public and school libraries could make it easier to increase enthusiasm for removing library fines. For anyone who hasn’t really considered removing library fines, now could be the right time to reevaluate your library’s policy. My co-librarian and I never thought about ending fines until one day we realized our main reason for having late fines was that’s how it had always been done. We’d allowed ourselves to become stuck in a pattern, supporting a practice we had never questioned. Once we understood it as an accessibility issue, we began to dissect our fine/fees policy and assess the reasoning behind it. Goals for the Resolution on Monetary Library Fines as a Form of Social Justice working group include creating/curating resources and information supporting and encouraging libraries to end library fines. 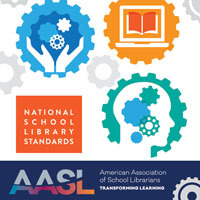 As school librarians/stakeholders, what kinds of resources would help you support ending library fines–specific school library examples, stats, an infographic? Have any thoughts for or against ending library fines? I’m curious to know how other school librarians feel about ending library fines. For additional information check out End Library Fines. Your statement about a policy is interesting. I guess it depends on the size of your school, but I just made a decision to eliminate fines a long time ago. I’m in a high school library with over 700 students. I didn’t need a policy and now it’s just a part of my classroom rules. The library is my classroom. 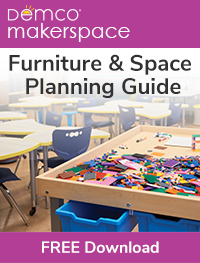 Subject area classroom teachers don’t need a policy every time they make a decision, why do I? If I had to write a policy for everything that I did, I’d never have time for teaching and managing the library. I consider myself fortunate. Fines are a barrier to access to books. This follows that they can be a barrier to access to gains in literacy in our students. I can’t think of any more important reason for EVERY SCHOOL LIBRARY to remove fines. Why would any library keep in place a barrier to literacy? Also, if we want our libraries to be equitable, how can fines fit into that model? Simple. They don’t. They particularly target some of our most vulnerable students. As far as I know, my district does not have a policy. I am fairly new and no one ever told me I had to collect fines so I just don’t. I’ve considered still requiring students to pay for lost or damaged books, but even that is problematic. Most students deny ever checking out the book in the first place, and that’s entirely possible. Other families simply cannot pay for a replacement book so it is not worth my time and effort to pursue it. I don’t think the number of books lost per year really impacts my budget or ability to provide quality resources, so I chalk it up to the cost of doing business. I don’t feel right punishing children for something that may be largely out of their control. Three years ago, we eliminated overdue and lost book fines for all District K-5 students. Yes, we do encourage families to replace the book, but it is not mandatory. We realize that many of our families are housing challenged and near poverty level. A child’s literacy journey is worth more than the cost of a lost(s) books. At the high school level, we have eliminated overdue fines, but still charge for lost library and textbooks. A last note… one thing about digital, there are no overdue or lost issues! Few administrators would recognize whether you did or did not have fines for materials overdue or lost. Students learn responsibility for library materials when they recognize that the library and its holdings are their property because they go to that school, and if they don’t return something on time, they are depriving one or more members of their community from using that material. It is their library and they need to treat their use of it as they would have others treat them. Fines have been the worst possible public relations device ever created. 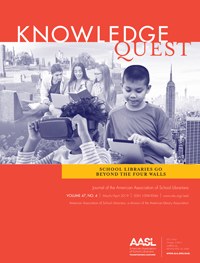 Why should one school librarian ruin the concept of an information center for all, open to all, by creating this obstacle, an obstacle that will remain with their students for a lifetime? I would like the working group to also look at libraries that have students “work off” fines by volunteering in the library. My gut reaction to that approach is also negative, but I am not exactly sure why. I would love to hear others weighing-in on that practice.